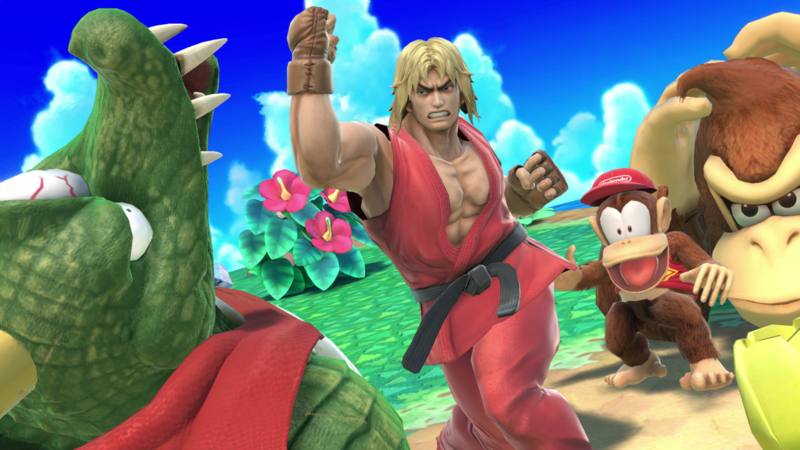 As promised, Nintendo has released a brand new update for Super Smash Bros. Ultimate, bringing the game to version 2.0.2. The official patch notes aren’t much. The only thing Nintendo says is that “support for the upcoming Daisy, Young Link, and Ken amiibo figures has been implemented”. As for version 3.0, it is supposed to arrive sometime this month. Oh of course! I should have known this all along. Since Daisy and young Link already had amiibo, this update probably was only really for Ken. If anything it mostly serves as a reminder and advertisement for the upcoming amiibo. I wish tails, knuckles, cream the rabbit, Amy rose, shadow the hedgehog, e 123 omega, zavok, eggman, metal sonic, vector the crocodile, espio, jet the hawk, silver the hedgehog, blaze the cat, chaos zero, tikal, wave the swallow, storm the albatross, rouge the bat, and sticks the badger had amiibo like figurines. I don’t even care about the amiibo functions.